Vicky's Drive, Dedication, and Dependability has helped her to providing outstanding customer service as a REALTOR servicing Ormond Beach Homes For Sale, Daytona Beach Homes For Sale, Port Orange Homes for Sale, Ponce Inlet Home For Sale, South Daytona Homes For Sale, Ormond by the Sea Home For Sale and Volusia County areas. 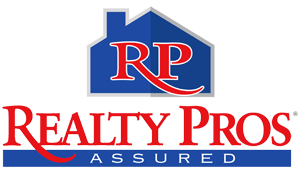 Many satisfied real estate customers have submitted letters of thanks to Vicky Bowie at Realty Pros and Associates. I would recommend Victoria 1,000,000%! She has integrity, energy & compassion - Vicky knows her stuff and treated everyone with respect - even when things got a little difficult...She was prompt, cared about communication, and had excellent follow thru. She was also helpful with contacts like inspectors, repair people and offered ongoing support. Nancy T. & Tom M.
Victoria is a "Go Getter" - very competent! She has excellent communication skills and we are very pleased. This is our 2nd experience working with Victoria and she exceeded our expectations each time. We rank her a '10"-COMPLETELY SATISFIED! Vicki had a great sense of the market and as we looked at houses she was able to hone in what we liked and didn't like in the previous houses, to help us find one that really suited us. However, she really shined once we put a bid in on the house. Throughout the entire negotiating process through the closing, Vicki was readily available with helpful advice and continued to work on our behalf, until the documents were signed. Even after, her knowledge of local contractors helped as we remodeled. We will use Vicki again. Vicky helped me sell my home - She was a very hard worker and helped me thruout the process - I enjoyed working with Vicky and she was not only my Realtor®, but became a treasured friend I could count on. I would recommend Vicky and was highly satisfied. Highly recommend - Victoria worked hard for us - keeping in touch, answering questions, finding multiple properties for us to consider and when we settled on new construction negotiated an awesome deal - saving us over 10k on a spec home! She is professional yet down to earth & has a great sense of humor. Such a hard worker - you feel like you are her only clients! Victoria Bowie was our realtor for the purchase of our new home in Port Orange. She was very happy to assist in every part of this transaction. We have become good friends with all of this, she has been so conscientious to every detail, showing us houses, and giving us all the contact numbers for getting started in the new home. We would personally recommend her to friends and family, to be their realtor of choice. We appreciate the knowledge taught about the area and laws that we obtained from her. She is definitely a gem in the realtor office. If you're looking for a "go-getter" then Vicky Bowie is your realtor. She's assertive without being pushy. What I appreciate most in Vicky is her directness, honesty, and knowledge of the areas she represents. She quickly grasped our wants and needs delivered promptly. I had a very pleasant experience with Vicky and consider her to now be a friend. In the last 5 years, I've dealt with many realtors and Vicky Bowie is, by far, at the very top of my list to recommend to others. She will go the extra mile(s) for you. When I first met Vicky, I felt as though I had known her for a long time. She cuts to the chase and doesn’t use meaningless words to communicate. I appreciate her directness, efficiency, and knowledge of the business. Her work is stellar. She quickly caught a grasp of what my friends were looking for in a house and she delivered shortly afterward. It was a very pleasant experience and made me think about re-activating my real estate license. I consider Vicky to be a friend and I will definitely be in touch as my friends move south. She also helped me find realtors in Georgia to list properties with. Vicky goes the extra mile. I cannot express enough what a wonderful experience it was having Vicky as my Realtor. I was moving from out of town for a new job in a very short period of time. I was overwhelmed by the thought of figuring out whether to rent or buy, could I close within the short amount of time, and if I bought what was the right school zone for my son etc.. Vicky walked me through every scenario, helped me focus and figure out what was the most important criteria for me in making my decision. Once I decided to buy, she managed to help me through what seemed like an impossible time crunch and helped me accomplish every necessary milestone in the buying process to make it possible for me to aim for what seemed like the unattainable goal of purchasing my dream house. Through her persistence and thorough approach to every detail that dream became a reality. I credit Vicky for helping me through the process every step of the way. I truly feel that, like a family member, she would not have been satisfied until she helped me get into the perfect home for me and my son. Mt father met Vicky and left saying that he knew I was in good hands and if anyone could make it happen, she could. (Now I see how true that was.) She followed through on every detail and made the impossible a reality. I will continue to use Vicky Bowie and Realty Pros and will recommend Vicky to anyone I know looking to buy or sell a house and feel confident that she will help them achieve their goals. Jim G. for Norman & Joan C.
Vicky went the extra mile to help us get the house ready; cleaned it & had numerous contractors to do everything from new roof to landscaping, My parents were very pleased and would refer Vicky in the future. We gave her a "10!" This section is designed to give you some ideas as to the level of service as a Daytona Beach Realtor that I provide. I service the communities of not only Daytona Beach, but also Port Orange, Ormond Beach, Palm Coast, New Smyrna Beach, and Edgewater as well as Volusia County, FL. Receiving thanks from clients who have had successful real estate purchases is largely due to the fact that I always assess the needs of my real estate clients and provide them with a level of service that is second to none. My real estate services as a Realtor extend to the areas of Daytona Beach, Port Orange, Ormond Beach, Palm Coast, New Smyrna Beach, Edgewater and other areas here in Volusia County, FL. In this site you find real estate and homes for sale in Daytona Beach and all other Volusia County areas which include Port Orange, Ormond Beach, Palm Coast, New Smyrna Beach, and Edgewater. There is no doubt that providing the ideal level of real estate service will mean that you will be able to meet all of your real estate objectives.